Do you view getaways and vacations as opportunities to pamper yourself, dine well, shop? If so, head to historic downtown Covington, a charming place to spend the day in a grown-up way, among the fine galleries, eclectic shops, excellent restaurants and more. 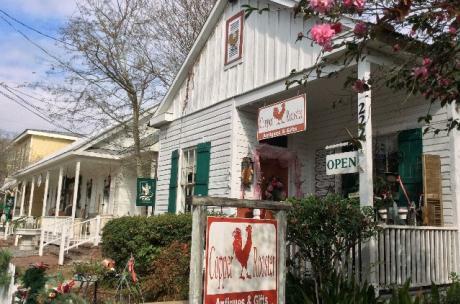 The historic district is just steps away from several bed and breakfasts. Or, stay at the new historic Southern Hotel, recently renovated and reopened as a boutique hotel in June 2014. Start your quest on Lee Lane, a short street but one that offers a high degree of browsability. Eclectic and appealing shops display handmade and estate jewelry, all-cotton clothing, antiques, decorative items for the home and more. A couple of blocks west of Lee Lane, you&apos;ll find Columbia Street, itself worth a day&apos;s exploration. 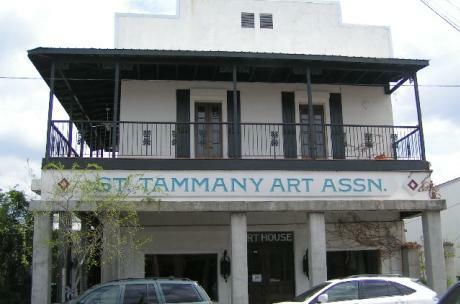 There are several fine art galleries, including Tripolo and Saladino Gallery, as well as the St. Tammany Art Association, with multiple gallery spaces and an art studio for classes. You&apos;ll find interesting shops and boutiques, good restaurants, all housed in 19th- and early 20th-century buildings. If you&apos;re in town on a Saturday morning, check out the Covington Farmers Market in the 600 block of N. Columbia (also Wednesdays at nearby Covington Trailhead) for beautiful produce, regional prepared specialties and live music from a gazebo, all shaded under generous live oaks. The Saturday market is open from 8 a.m.-12 p.m. If you didn&apos;t nosh your way through the farmer&apos;s market, downtown Covington offers many opportunities to eat local, among them Buster&apos;s, Lola, and Columbia Street Rock-N-Blues Café. Or grab a latte and gourmet sandwich or soup at St. John&apos;s Coffeehouse and hang out with the locals for a break. 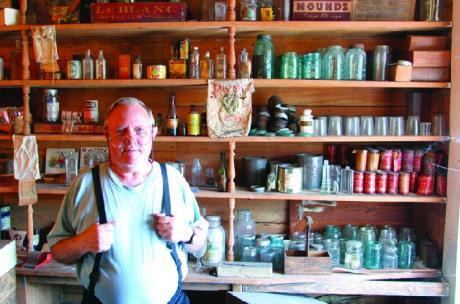 Check out HJ Smith&apos;s Son General Store and Museum, a Covington institution since 1876 and in the same family all that time. It&apos;s free and fascinating, a glimpse into Covington&apos;s past. Then head over to nearby Covington Trailhead Visitor&apos;s Center, featuring a campanile, bandstand, exhibit hall and gallery, and bronze statue of Ronald Reagan. On Wednesdays, the Covington Farmers Market offers fresh produce, light lunches, and live music from 10:00 a.m. to 2:00 p.m. The recently completed plaza serves as Covington&apos;s trailhead (and terminus) for the Tammany Trace, the 31-mile-long rails-to-trails hike and bike path. You can rent bikes and skateboards at Brooks&apos; Bike shop and go exploring. Brooks&apos; has kayaks, too, for a paddle down the Bogue Falaya River. You could even paddle to The Chimes restaurant, dock at the boardwalk, and walk up for ice cold oysters and one of St. Tammany&apos;s tempting craft brews. 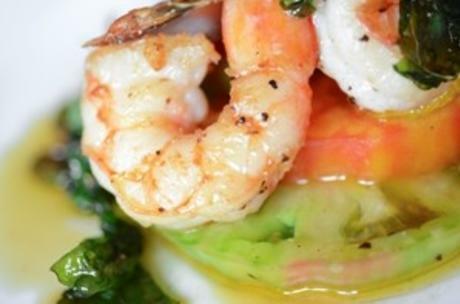 After you&apos;ve worked up an appetite, Del Porto Ristorante is a respite indeed. Named the best Italian restaurant in the whole New Orleans area, Del Porto is all about great flavor and the creative kitchen skills of husband-wife chefs David Solazzo and Torre Bagalman. Check out the wine list and settle in for a relaxing evening of great food. Or, have a drink at the Cypress Bar in the Southern Hotel and admire the murals by world-renowned artist Graham Menage - they&apos;re replicas of hand-tinted postcards from the early 1900s - during Covington&apos;s heyday as a resort community. Then be seated at the sophisticated but comfortable Oxlot 9 restaurant inside the Southern Hotel, where Chef Jeffrey Hansell serves up elegant "Gulf-inspired Southern fare." Downtown Covington also offers many free concerts, festivals and art walks in the spring and fall, including the Columbia Street Block Parties, Sunset Concerts on the Landing, Rockin&apos; the Rails concerts at the Covington Trailhead, Fall and Spring for Art, A Taste of Covington, and the Covington Three Rivers Art Festival.